First of all, I realize that the drawings are not at all in proper order. It completely slipped my mind while I was drawing these. I should have each pose arranged by how they appeared in relation to each other in space. 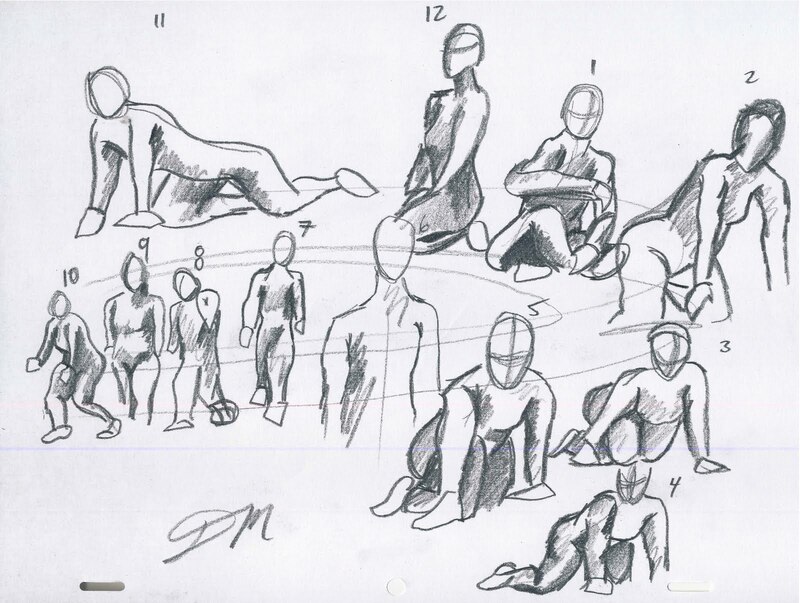 It’s just a bad habit of mine, from Life Drawing, to separate each figure and shade them. However, I did number them so I hope that helps.